"Very chic, staff super helpful." Have a question for Sand Hostel? 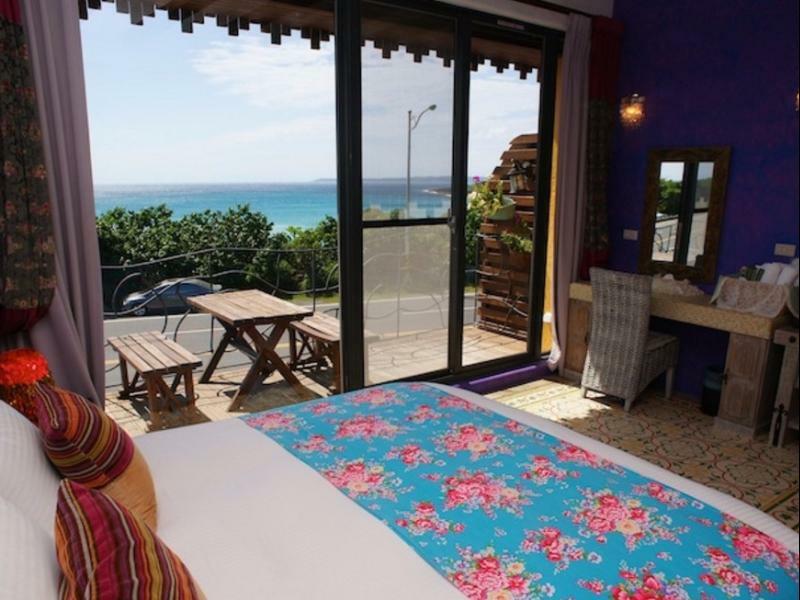 Well-positioned in Eluanbi, Sand Hostel is the ideal point of departure for your excursions in Kenting. From here, guests can enjoy easy access to all that the lively city has to offer. With the city's main attractions such as Shadao, Shadao Shall Sand Exhibition Hall, Eluanbi Park within close reach, visitors to the hotel will just love its location. Offering hotel guests superior services and a broad range of amenities, Sand Hostel is committed to ensuring that your stay is as comfortable as possible. Top features of the hotel include free Wi-Fi in all rooms, grocery deliveries, taxi service, ticket service, express check-in/check-out. The hotel features 9 beautifully appointed guest rooms, many of which include television LCD/plasma screen, internet access – wireless, internet access – wireless (complimentary), non smoking rooms, air conditioning. Besides, the hotel's host of recreational offerings ensures you have plenty to do during your stay. 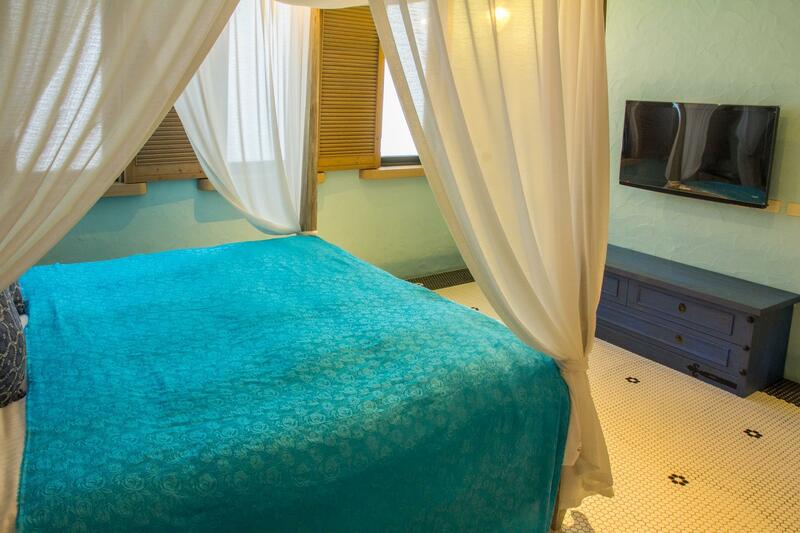 Enjoy unparalleled services and a truly prestigious address at the Sand Hostel. "Bed is comfortable, room spacious and very well kept." We booked a quad room for the 2 of us due to the super peak period. The bath / toilet & basin area were separated into 3 different area right beside each other, which is I think is a good layout for quad sharing... As we were driving, the distance away from the night market did not bother us... pretty easy getting a parking along the roadside. Wifi's great. The balcony area ( 2mf floor ) is good for 6 pax's seating.. Woke up to a lovely quiet seaview. There's a small stony beach right in front of the resort. Started getting slightly crowded with a couple of tour bus and mini vans after 10am. Which was fine with us as check out time's 11am and we were having our simple 'In-Room' sandwich & milk tea breakfast @ the balcony overlooking the lovely sea... ( Appreciate the sweet gesture of staff ) Overall, had a great stay there! I love the room, it was beautifully decorated. The room was big and with good view. The staff are nice and helpful. I like their homemade breakfast, it was nice and freshly cooked. We stayed for 3 nights and had different breakfast everyday. However the hotel wifi was poor may due to the location of the hotel coz our own sim card can't function as well. very nice hostel, with newly furnished spacious rooms. Owner Mr. & Mrs. Wu are very nice and provide kind pick up services for travelers like us without renting motorbikes or bikes. The in room breakfast was very delicious! We have stayed here many times, and keep coming back. If you want to get away from the madness of Kenting street, this is a great area. It is much quieter, across the road from a nice beach. If you can, get the vip room, the outdoor tub is a blast! A fine place on the south side of town where the crowds are not. Much appreciated that reception doubled as air traffic control, directing us in for a smooth landing well past any hour that might be considered respectable. With a smile they waited on us. Patiently. 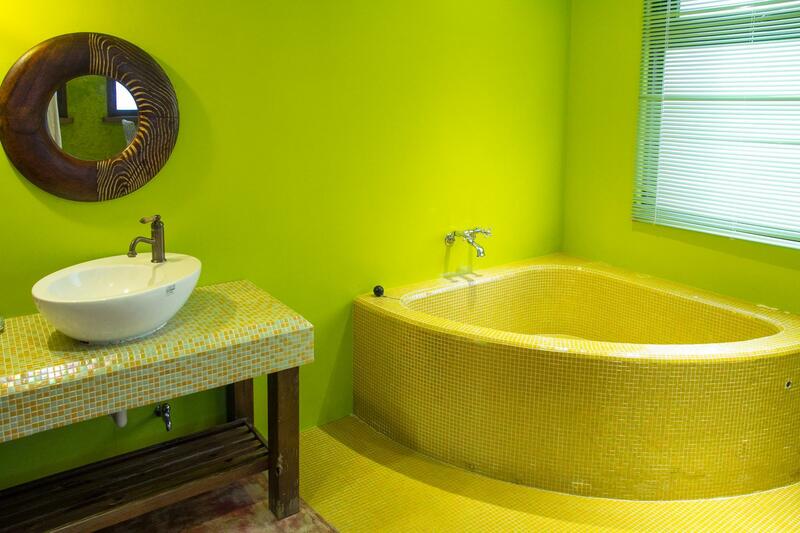 Sunny room with stony bath and plenty of switches to play with. bed is comfortable, room spacious and very well kept. Some nice touches. Beach across the road is sharkless and worth a snorkel. If, for some reason, you need to crawl through the window, mind the goldfish. We had a great time. The hotel room was amazing but if you do not have a scooter or a car it might be a challenge to get around. They were very nice and took us to town but the taxis are quite expensive to get back (300 NTD flat fee which is a lot in Taiwan). But over all we had a great time. Also although the stuff were super nice and helpful they did not speak much English but we could communicate well enough. Also important, they arranged for us a taxi for 400 NTD a person from the hotel to our Kaohshing hotel, door to door which with kids was a godsend. make sure you ask the staff to do it for you both ways. The comfort of the room, the staff were helpful and the place was peaceful and pretty. Thank you to the owner Mr.Wu and his staff. Our stay in Kenting was very memorable. Mr. Wu was such a good host! Even though my Mandarin was quite lousy, he was always so patient and helpful with planning my transportation, with suggestions on where to eat. The breakfast which they made fresh to order each morning was great. You can tell they put alot of heart into everything. Highly recommend this hotel. We had a great stay in the hotel. Note that it is not close to Kenting, so transportation is needed, which is not a big problem to get. 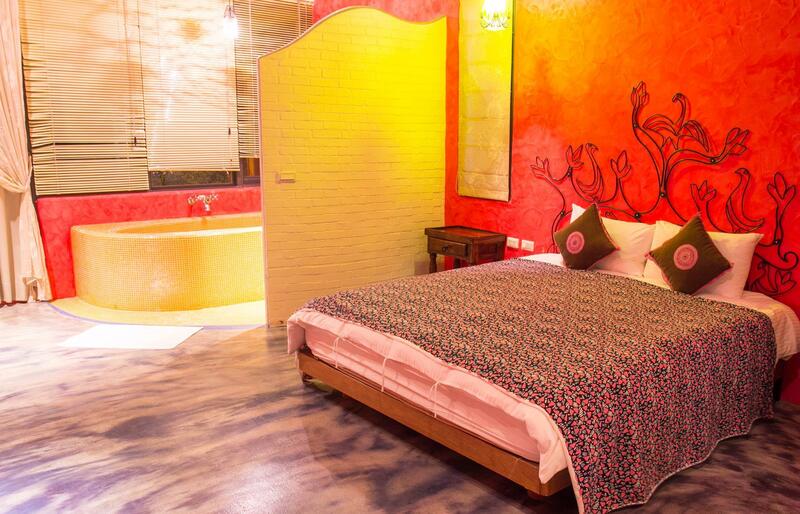 The rooms are large and comfortable, nicely designed. We rented a car, so it was easy to get around and see the main natural attractions of the region, which is very beautiful and worthwhile visiting. The room is very clean , bed is comfortable . 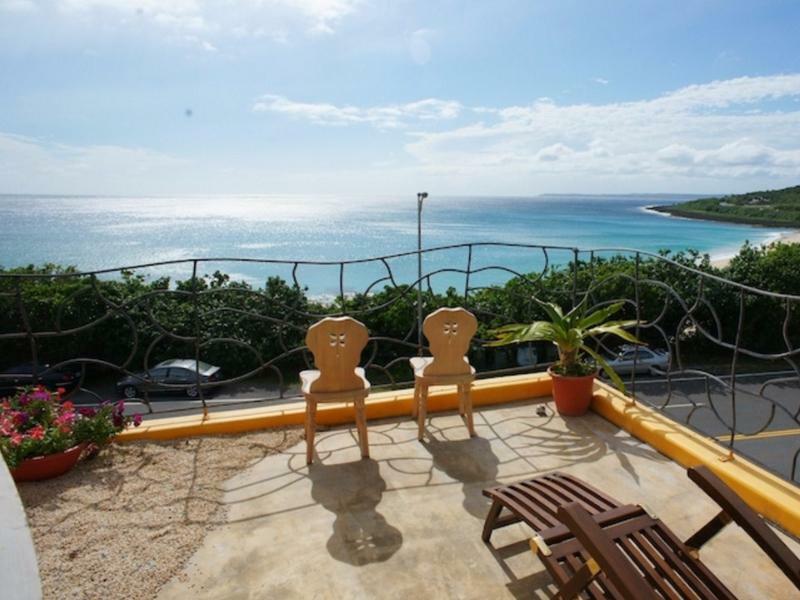 The hostel is near the sea which is a little bit far from kenting street . But don't worry , the friendly hostel staff could drive you to the kenting street. The breakfast is very nice , and have different food every morning . This is the best hostel I have ever stayed with. The owner of the hostel is very familiar with the sightseeing sites around the hostel and he helped us to rent a small car. If I have the chance to visit Kenting again, I will stay here one more time! It was the best hotel i ever stayed. I booked room 23 for 2 night, it provide a very good sea view balcony. I can see the a very nice sunset just set it there, so i don't have to go outside and see the same sunset in some famous spot where plenty of ppl. They provide difference breakfast menu everyday, so impress me, not an usual hotel breakfast, they perform with their heart. The hotel feature is feel like india or Morocco, very colourful and relaxing. When i first step in the room, i love in it. The location is far away from main street, if you don't rent a car or motor-bic, it would be not convenience, but the owner will drive you in and out if you ask for, the owners are so nice and help. I will definitely stay there again and highly recommend my fd to come here. It is amazing!! The room is so pretty and romantic. I love the decoration of the whole hostel. Very relaxing. generally, i felt in love with this small hostel the moment i stepped in. the decoration is so pretty and my room is like the princess room. the breakfast lady boss prepared for me is so delicious! you can enjoy the whole morning by sitting beside the window and drinking tea/coffee. the couple are really nice. they sent me to the nearest sightseeing place and night market everyday by car. and one more thing i have to share, i lost my wallet at resturant near the park one day. i called help to the hostel owner. he helped me checked out and collect my wallet back. really appreciate all their gelid during my stay! highly recommended if you want and peaceful & relaxing vacation at kenting! The hotel is not nearby the main street Kending street, and is actually in the middle of nowhere. However, the landlord is kind enough to provide free pick up service between the main street and the hotel place, which makes life so much easier, if you don't drive yourself. 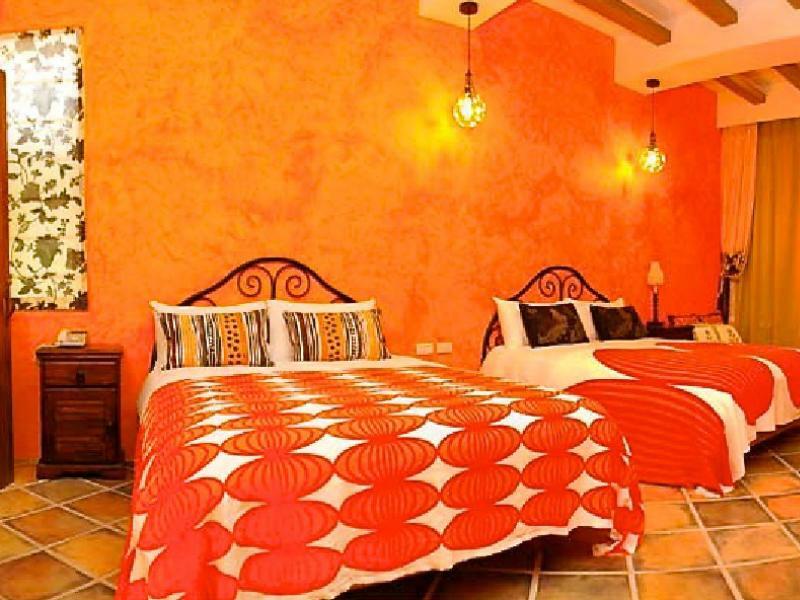 The interior of the hostel room is superior with spacious room space and European style decoration. The balcony is huge and facing the sea. It's such a pleasure to sit down and open a beer, having a peace of mind watching the great kending sea view. This is the most charming inn I've ever stayed in. Rooms are beautifully decorated, owners are extremely hospitable, and it is the only place I've ever stayed except the Mandarin Oriental that has a bathtub big enough for me to lie in. This is a small B&B, that has recently been done up. The owner is there everyday and besides dishing out recommendations on where to go and see, will also drive you to the main street. The hostel itself is located 10min drive from the main Kending street, in a quiet stretch. The beach opposite is one of the best places in Kending for sunsets. If you like to get away from it all, this is the place to be. 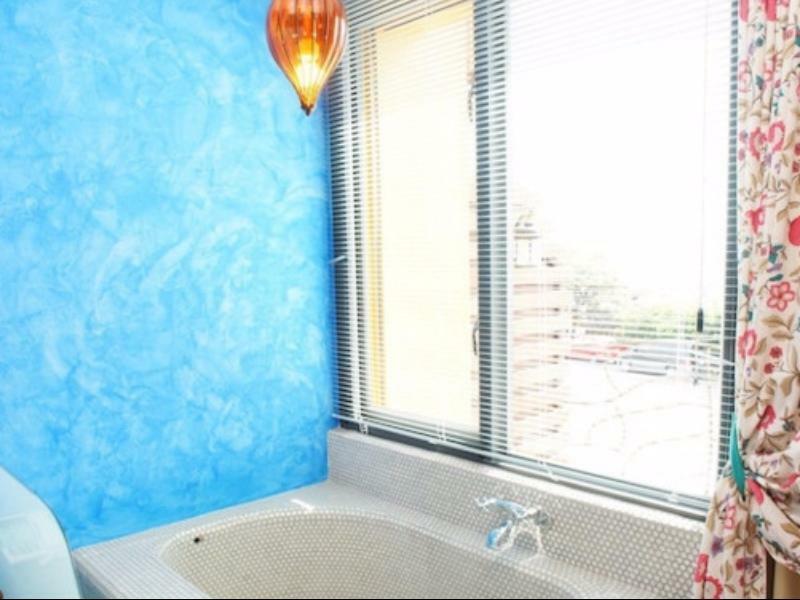 The rooms are a bit of a mix between morrocan, Mediterranean, and a happy mix of colors, with open, mosaiced shower and tub. Breakfast was always good, served fresh. We liked it so much we stayed another night. Kenting is a nice beach town in southern Taiwan.View of my room is good,watch the blue sea on the balcony.Close to the Kenting goose nose,maybe about 25-30minutes walk.Hotel boss take us back to hotel from Kenting night market by his car. I only booked for one night and I regretted. This is definitely a "minsu"that you need an advance booking and plan for more than one day. Beautiful ocean view from the balcony, very clean, reliable staff, helpful service, great breakfast....the owner helped me to get around. The room is lovely, clean, fresh air, you open the window you would feel the breeze from the ocean.